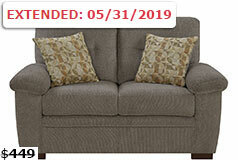 The lush, sandy taupe, chenille Fairbairn loveseat offers contemporary styling without forgoing comfort. 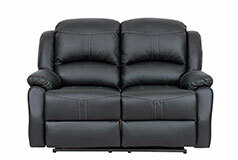 The two-seater loveseat fits great in small spaces. Packed with style details, the tufted back cushions breaks-up the straight lines and it’s finished with dark wooden feet. 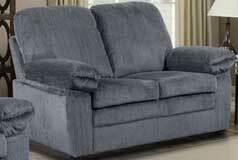 It’s the perfect loveseat kicking back! 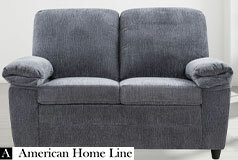 Accent Pillows: It comes with two accent pillows to give it an extra homey feel!